This duplex ready MFC comes with a surprisingly low price tag considering its long list of print, copy, scan, and fax functions. The Canon imageClass D480, a device well under the 400 dollar price range, is also equipped with Ethernet functionality, another feature that usually means a lot of extra expense. With additional features not found in many of the 4 in 1 and 5 in 1 devices found on the market today, the Canon imageClass D480 stands out among many of its peers as one of the most affordable MFCs that can offer both built in duplexing and network capabilities included. There is even a wireless print server option available to fully realize the potential of this network ready device, though this feature will cost extra. The built in automatic document feeder included with the unit is of professional grade, and can hold up to 50 sheets at a time. This is a large step up from the commonly seen 30 page ADF for any business that often deals with large quantities of input at one time. 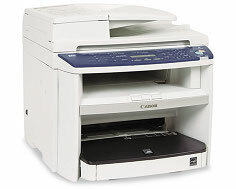 All the expected copy and fax features are apparent in the Canon imageClass D480, such as a helpful toner save mode, a 2 on 1 mode, and a Super G3 fax modem that runs at a speed of 33.6 Kbps. First copy times are good, clocking in less than ten seconds, while fax transmission speed operates at 3 seconds per page. Fax resolution is also very good and maxes out at super fine 203 x 391 mode. The output speed of the Canon imageClass D480 lays right on the edge of the professional level, and possibly falls just short with 23 pages per minute maximum. Another fallback of this monochrome laser unit is its ability to copy with a resolution of only 600 x 600 dots per inch, while print and scan resolution is twice this at 1200 x 600. The Canon imageClass D480's multipurpose tray can only accept paper up to 43 lbs, meaning heavy card stock is impossible to use with the unit, or could cause jams. For heavier printing needs, buyers should look for a printer that offers a straight through paper path. The unit's monthly duty cycle comes up extremely low for the product category, offering users only 7,500 pages per month, with monthly recommended duty even lower. This is very disappointing for the buyer looking for a high volume device that can handle a great deal of network traffic, but could still suffice for many smaller office applications. 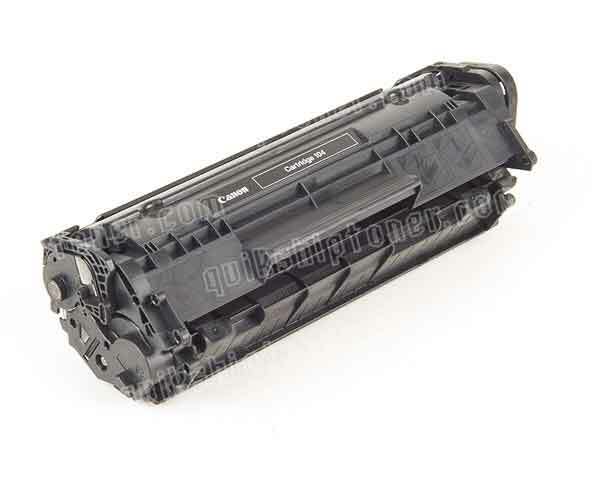 Review it: "Canon imageCLASS D480 "
Like many, if not all, of the Canon multifunctional units in the imageCLASS category, the Canon imageClass D480 utilizes what is known as a single cartridge system. 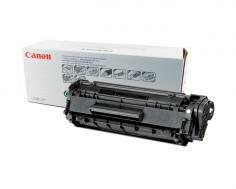 With a single cartridge setup, there is no drum unit required and therefore setup is extremely easy, along with printer replacements. Unfortunately, these all in one cartridges often come with very low page yields and, in this case, only 2,000 pages of it at 5% coverage.